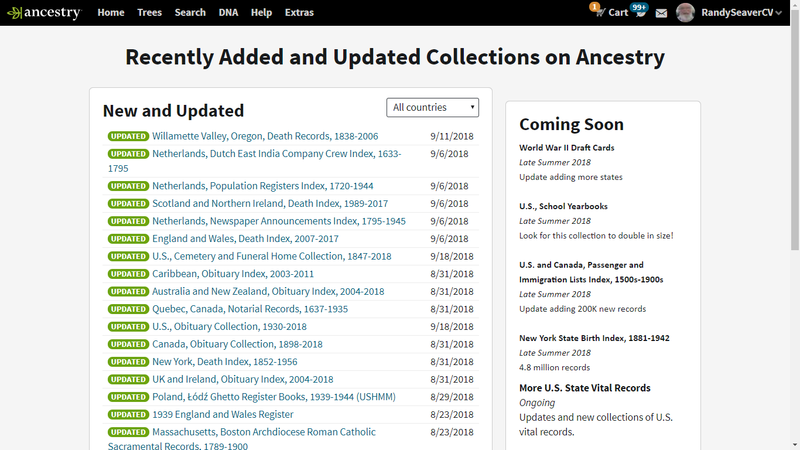 By my count, there were 0 NEW collections ADDED this past week, per the list above. 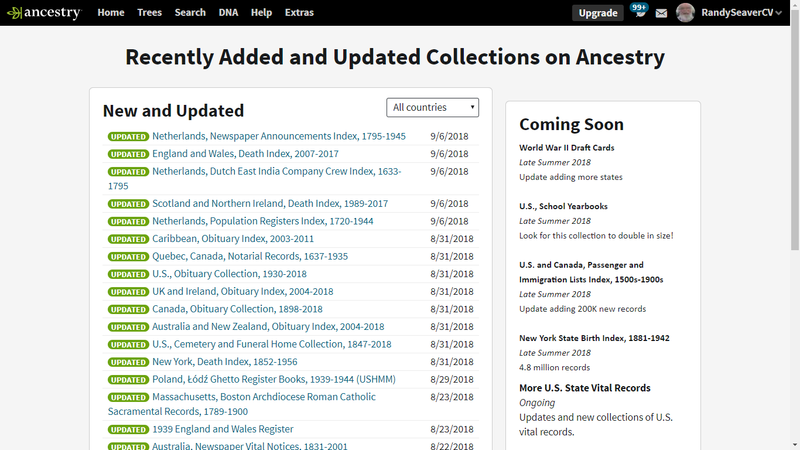 There are now 32,665 collections available as of 22 September, a decrease of 1 from last week. 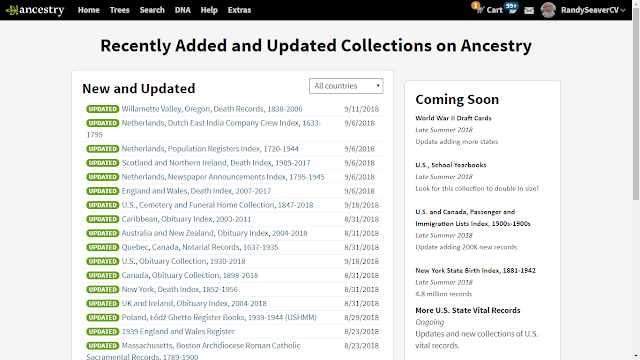 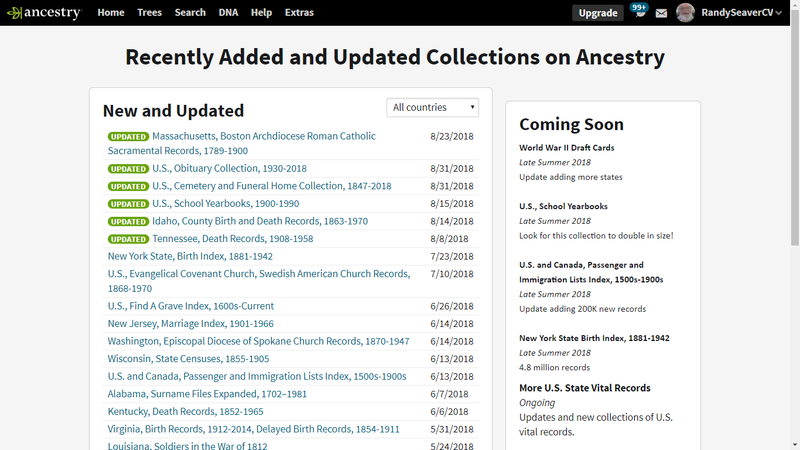 According to the Card Catalog, the last ADDED collection was on 16 August 2018 (Sweden, Emigration Registers, 1869-1948).